Our product range includes a wide range of pqc - statcon. PQC - Statcon is available for single phase and three phase applications as PQCS STATCON and PQCT - Statconrespectively. The PQCS - Statcon performs fast reactive power compensation based on a target power factor (PF) setting, which can programmed through the user interface. PQCS - Statcon also has an option for setting dual PF target (Main / Auxiliary PF Targets). This option enables the system to work at unity PF (or any other Main PF setting), when supplied from utility source and to work at 0.8 lag PF (or any other Auxiliary PF setting), when supplied from generator. PQCS - Statcon is well suited for single phase applications like railway traction substations and automotive welding shops. 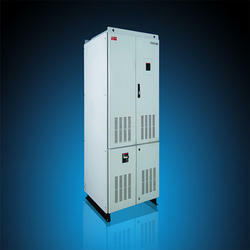 The PQCT - Statcon performs fast reactive power and unbalance compensation for a three phase network.